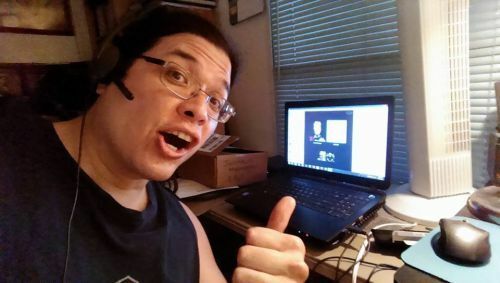 -Just finished up doing my Skype interview with Azriel Mordecai, Thomas Clark and Scott Groverston for THE NECROCASTICON. Thanks guys-it was a lot of fun! Check out The Necrocasticons pages for when it will be out. This entry was posted in ACTING, INTERVIEWS, MUSIC and tagged acting, Azriel Mordecai, CAROLINE BLUE, Empire State Of The Dead, horror, INTERVIEWS, KISS, metal, mohawk, music, night of something strange, Podcast, RON BONK, SHE KILLS, Star Trek New Voyages:Phase II, The Necrocasticon, Thomas Clarke, wayne w johnson, WWJ. Bookmark the permalink.